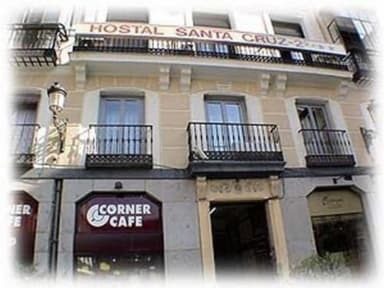 Hostal Santa Cruz Madrid kohteessa Madrid, Espanja: Varaa nyt! Small guesthouse with 16 rooms all with bathroom, A / C, heating, TV, hairdryer, safe and free internet access. The guesthouse is located in the heart of Madrid. The Puerta del Sol;located 2 minutes walk and the Plaza Mayor to 1 minute. You can walk to the areas of commerce, culture and entertainment.